The revolutionary Zenith Oscillator found on the Defy Lab now comes in a commercial version. More than three centuries after the invention of the sprung balance (by Hooke/Huygens), the oscillator is back in the limelight. Exploring new frontier and technological breakthroughs in mechanical watchmaking, the oscillator is considered the crowning glory for the most inventive and skillful watchmakers. 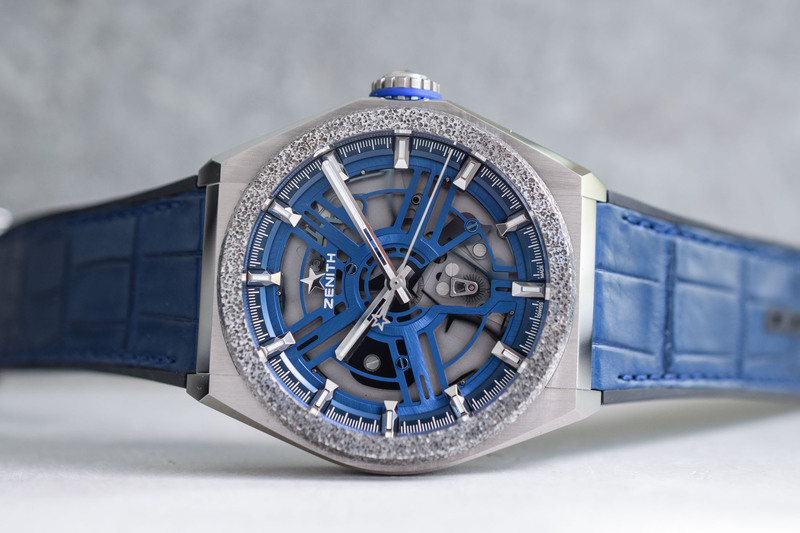 Just a few days after the presentation of the Ulysse Nardin Freak NeXt (still a concept watch) and its innovative 3D suspended oscillator, Zenith returns with the commercial version of the revolutionary Defy Lab… Meet the Zenith Defy Inventor. The way watches and clocks are regulated has not changed for centuries. The sprung balance has been the exclusive time basis for the mechanical watch. Paced by a thin coiled spring, the oscillations of the balance wheel control the speed at which the gears of the watch rotate and thus its rate. The sprung balance has been optimized to the greatest possible extent but its principle remained unchanged – until very recently. 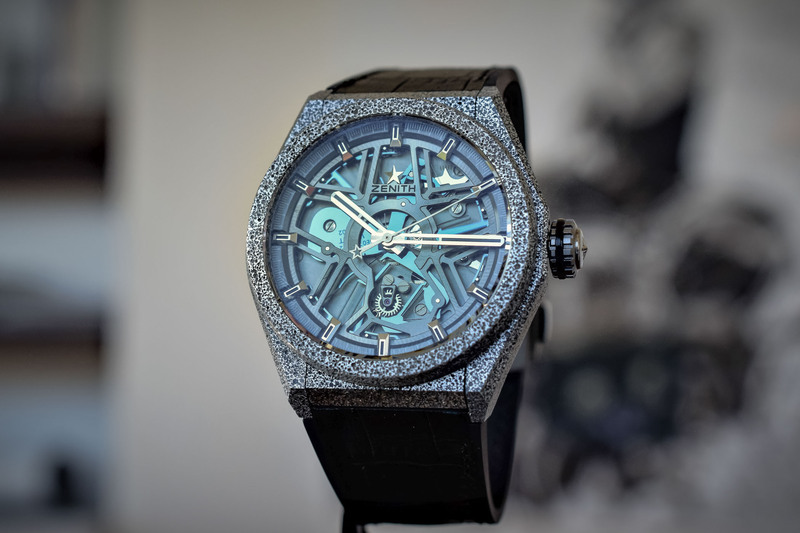 As an evolution of the concept presented in September 2017 with the Defy Lab, the strategic component of the Zenith Defy Inventor is a single flexible part made of monocrystalline silicon. The large monolithic compliant mechanism combines high frequency (18Hz or 129,600 vibrations/hour) and low amplitude (6°). With it, Zenith was able to replace the approximately 30 parts comprised in a standard regulator by a single part. The absence of mechanical coupling eliminates contact, friction, wear, lubrication, and dispersions. Its monolithic structure and the use of silicon also makes the movement virtually insensitive to temperature changes, gravity, and magnetic fields – thus eliminating key weaknesses of traditional hairsprings. This is not only super impressive technically but equally mesmerizing to watch. 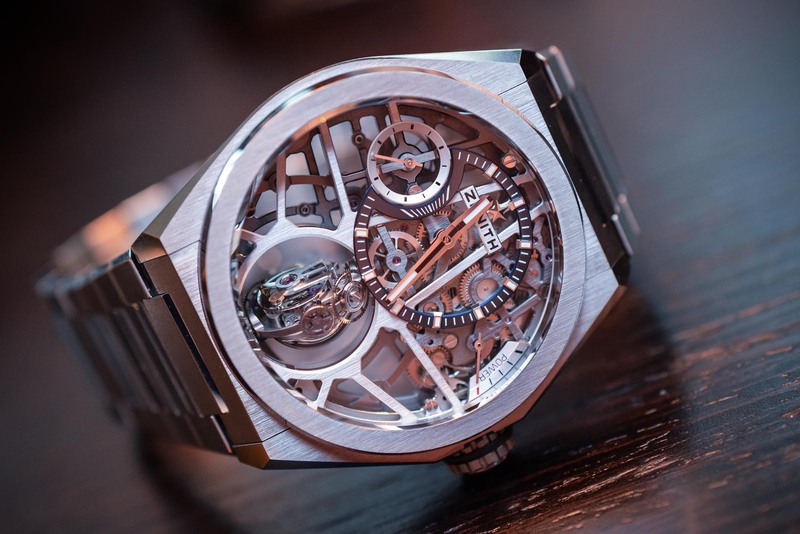 Given the movement’s high frequency, the seconds hand appears to be running smoothly with no jerks – check out the video at the beginning of this article. 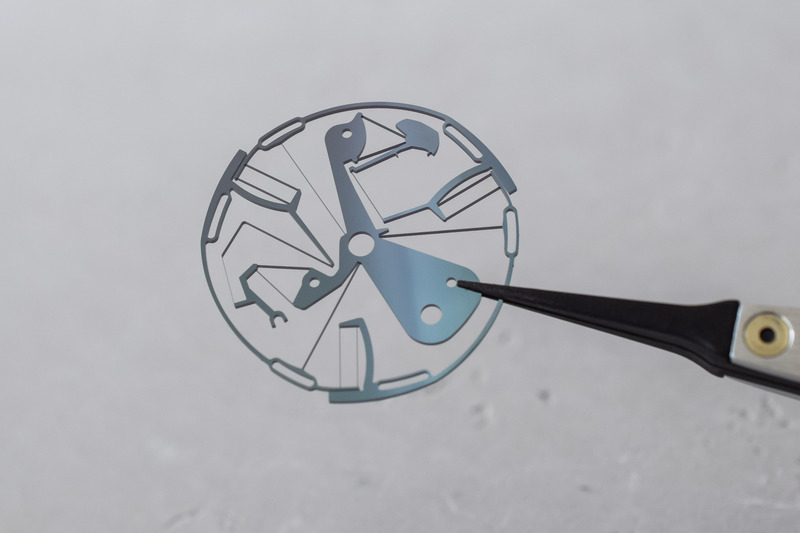 The escapement anchor is integrated within the oscillator, working in conjunction with an escape wheel now featuring silicon flexible blades – which is one of the visible improvements made on this Defy Invertor over the Defy Lab prototypes. The performances of the development are triple certified (with ‘standard’ certifications) for magnetic insensitivity (ISO-764), thermal insensitivity (ISO-3159) and chronometric precision (TIMELAB). The oscillator is incorporated in the automatic Zenith Calibre 9100, which shares most of its characteristics with the Defy Lab prototypes. 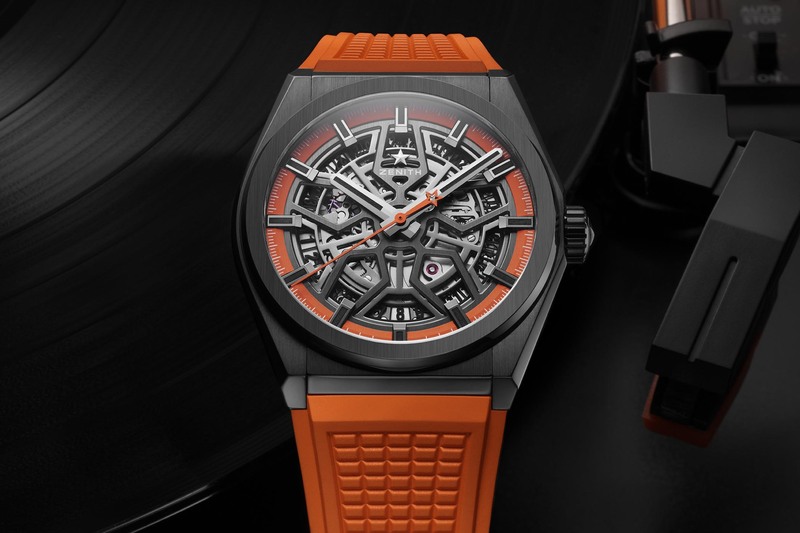 Interestingly, on the new Zenith Defy Inventor, the frequency has been increased from 108,000 vibrations/hour to now 129,600 vibrations/hour. As a consequence, the power reserve is now slightly reduced at 50 hours. This is quite impressive given the frequency and this is clear evidence of the regulator’s efficiency. The movement is 32.80mm in diameter and 8.13mm in height. 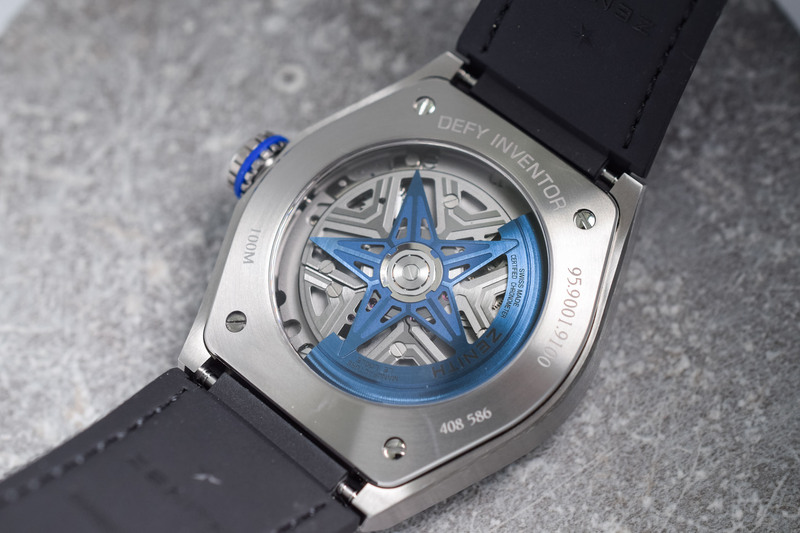 Also visible through the exhibition caseback, the Calibre 9100 features a blue, star-shaped rotor (Zenith’s signature). The bridges echo the shape of the oscillator and of the skeleton dial. This revolutionary engine is mesmerizing to behold. 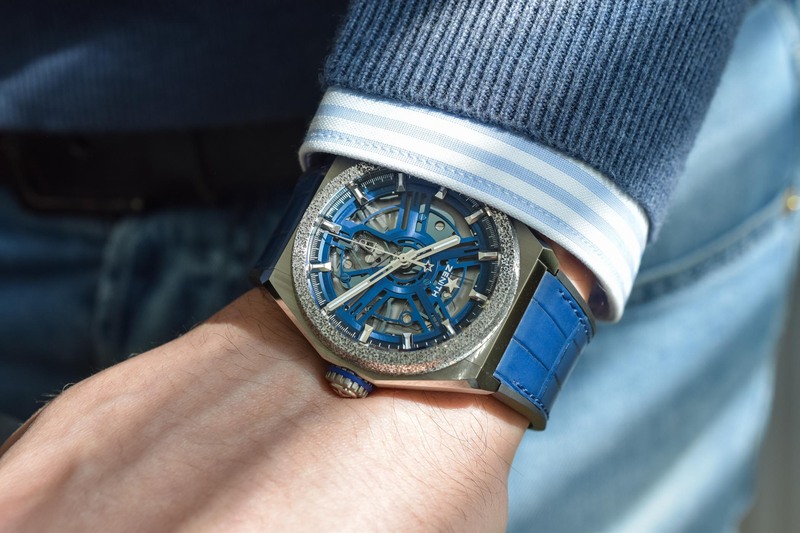 Its heart features beautiful reflections as it pulsates beneath an openworked blue dial. The facetted hour markers create a striking sense of depth. Broad hands with luminescent material sweep over the mechanism. The slender seconds hand has a star-shaped counterweight. 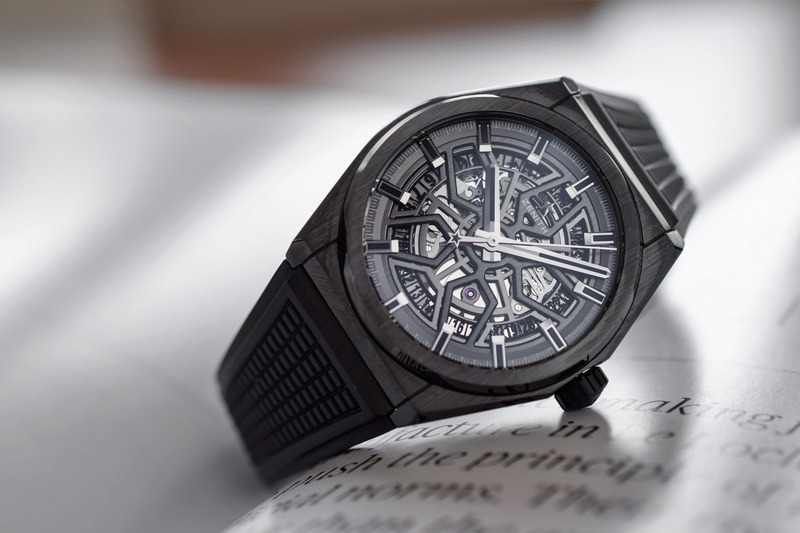 The angular 44mm case of the Zenith Defy Inventor is fashioned out of brushed titanium and fit with an Aeronith bezel, an innovative aluminum composite made of open-pore aluminium foam and stiffened with a polymer. This is a more elegant solution than some of the Defy Lab prototypes that featured cases entirely made of textured Aeronith. 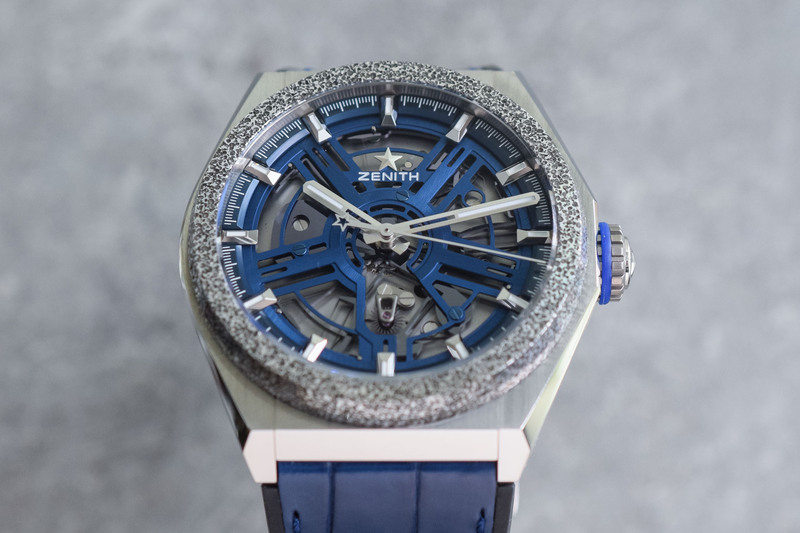 The Zenith logo is transferred on the sapphire crystal. 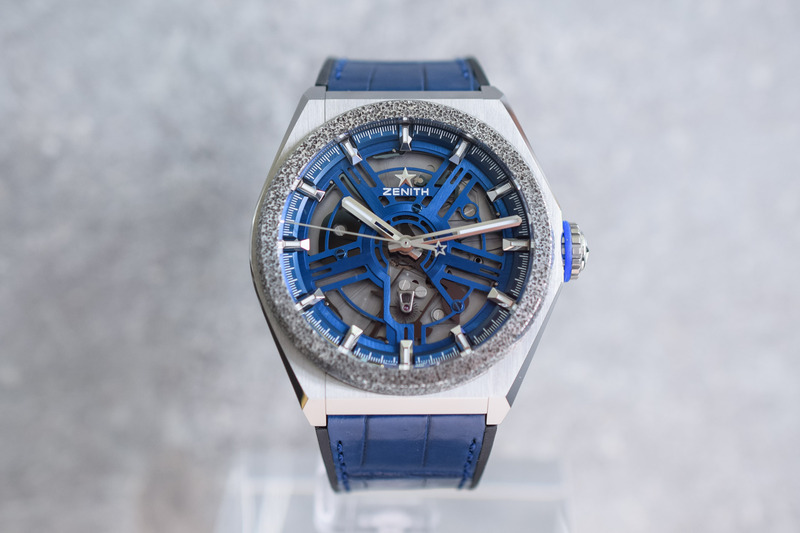 The Zenith Defy Inventor is worn on a rubber strap with a blue alligator coating. The double folding clasp is titanium. 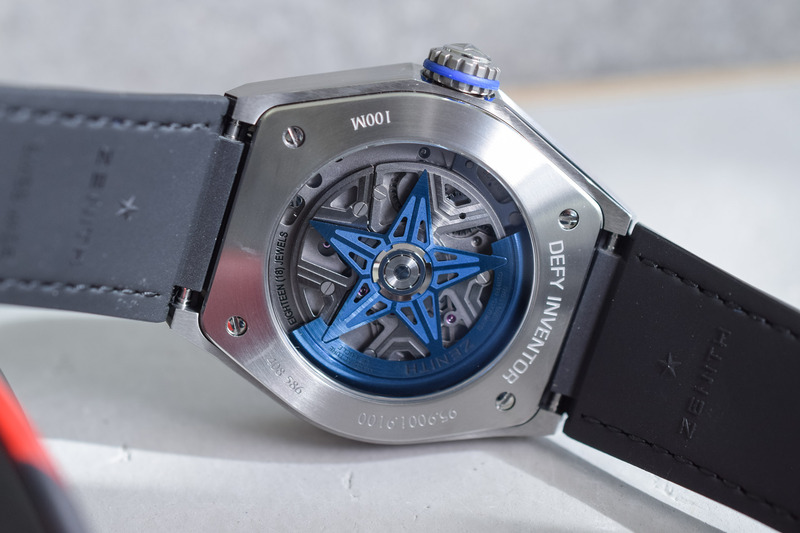 As we explained in our in-depth article about the Defy Lab, the Zenith Defy Inventor and its oscillator are amongst the most innovative developments we have seen over the past years. Presenting prototypes of a new oscillator or escapement is one thing. Taking it from concept to market is quite another… Price is set at CHF 17,900 – compared to CHF 29,900 for the 10 Defy Lab prototypes, which is quite impressive given the technicality of this development! More information on www.zenith-watches.com.